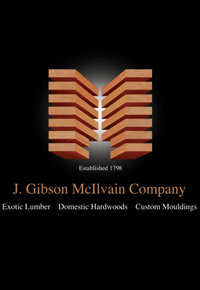 J. Gibson McIlvain Company is one of the largest importers of exotic lumber in the United States. J. Gibson McIlvain ships nationwide. Call them today at (800) 638-9100. 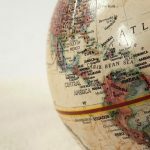 Ipe, used primarily for the construction of decks, has built a reputation as the only hardwood option that will last as long as you own your home. 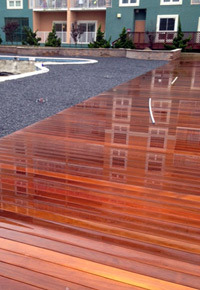 With a lifespan over 40 years, Ipe is beautiful, durable, long lasting, and remarkably hard and dense. With a deep reddish-brown or yellowish-olive color, Ipe adds beauty to your home deck, porch, or even a kitchen flooring project. 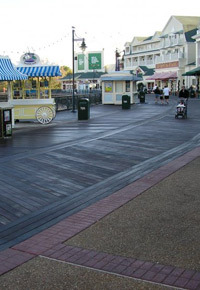 Because of its durability, Ipe can be used in high traffic areas where it will be used heavily, but still outlast for many years. The rich color and very tight grains create a beautiful product that can be maintained with an occasional staining. Left untreated, Ipe will still maintain its durability but typically fades to a grey patina coloring. With an extreme density and hardness, Ipe is essentially both water and fire resistant, and it will also resist rot, decay, and insects. Because Ipe is the perfect choice for decking, many customers find themselves wondering if they should get Kiln Dried or Air Dried Ipe. 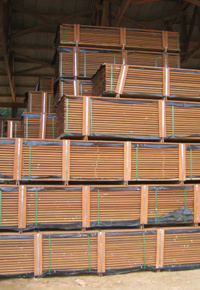 Your lumber supplier should explain the difference to you based on your specific use. If you are planning to build an exterior deck in a heavy moisture area, Ipe that is air dried to 18% moisture content is ideal for decks that will take a beating from the extreme weather elements, including rain and sun and from the human elements of heavy foot traffic. However, Ipe can also be used as an interior flooring project; yet, you do not want to use the air dried product for indoor flooring. Instead, choose Ipe which is kiln dried to 6-8% moisture content, and you’ll have the perfect wood for an interior project. 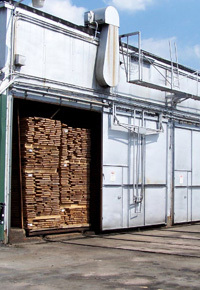 Be careful when choosing between air dried or kiln dried, as each process produces a wood product with a different level of moisture; air dried Ipe is intended for specific applications while kiln dried Ipe is intended for other applications. However, what if you are building a deck outdoors, but in a dry climate? You wouldn’t necessarily want air dried Ipe that is intended for a wet climate, and you certainly wouldn’t want a kiln dried product meant for interior applications. Instead, turn to a hybrid product of the two that is kiln dried to 10-18% moisture content. Consider an outdoor theatre in Denver, Colorado. 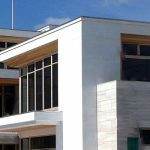 Because the climate is extremely dry and gets direct sunlight for the majority of the day, a hybrid kiln dried Ipe is best for this exterior project. As you consider your next Ipe project, you have to ask yourself first whether it is going to be outdoors or indoors. Next, if the project is outdoors, you must ask yourself what the climate is like. 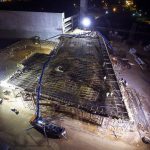 While Ipe is a great solution, the process of air drying or kiln drying dramatically changes its applications and uses for indoor or outdoor projects. Recognizing the differences and uses will allow you to choose the perfect Ipe product that will last for years to come. 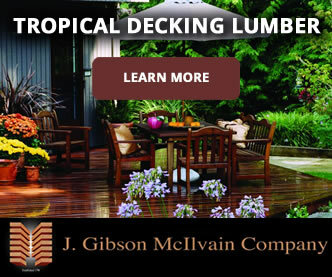 The lumber specialists at J. Gibson McIlvain would be glad to discuss your particular project with you over the phone in order to help you better understand the applications and limitations of air dried, kiln dried or “hybrid” dried Ipe. Call J. Gibson McIlvain today at (800) 638-9100. 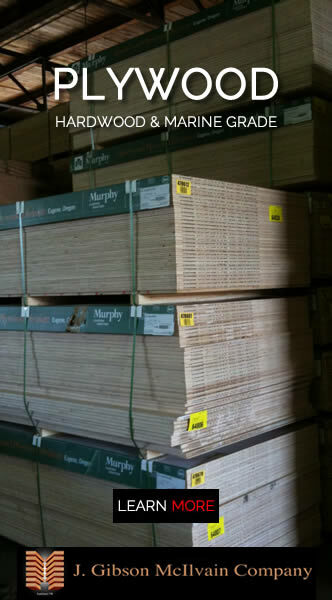 Lumber specialists are available to assist you during regular office hours (East Coast) Monday through Friday. 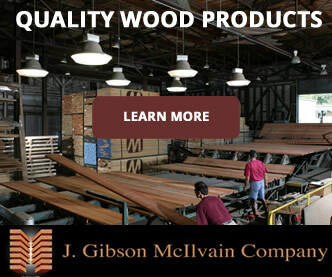 J. Gibson McIlvain Company only supplies Grade A Ipe, which is Ipe that is free of defects on three sides. 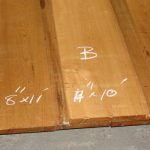 While it is difficult to supply only Grade A Ipe, J. Gibson McIvain accomplishes this by being very particular about the mills that they use to harvest and saw Ipe decking material. Customers know that quality control is of utmost concern which makes Ipe products from J. Gibson McIlvain to be of premium quality. 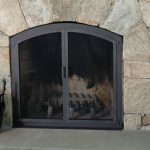 As my husband and I are building our new home, we have been wondering about the different types of lumber for both the interior as well as outdoor deck work. 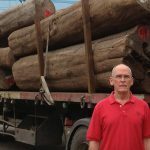 I really appreciated this article to explain the difference between kiln dried and air dried lumber. We will be sure to take the climate into account, as you suggested when choosing our outdoor lumber. Thanks so much for sharing!